When sampling is required by a National Pollutant Discharge Elimination System (NPDES) stormwater discharge permit, samples must be obtained during a storm event. EPA defines a storm event at 40 CFR 122.21(g)(7)(ii) as a rainfall event with greater than 0.1 inch of rainfall and at least 72 hours from the previously measurable—greater than 0.1 inch rainfall—storm event. Although the definition of a storm event described above dates back to when the federal regulations were published in 1983, the required measurement of 0.1 inches or greater is not a requirement in EPA’s 2015 Multi-Sector General Permit (MSGP) for Stormwater Discharges Associated with Industrial Activity. Learn more about the stormwater management requirements applicable to your facility by attending Environmental Resource Center’s Stormwater Regulations – Webcast. 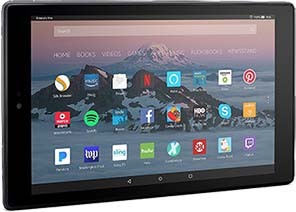 Register for both Hazardous Waste and DOT training in the same city and get an Amazon Fire HD 10 tablet with electronic versions of both handbooks. The Amazon Fire offer is only available by phone. Call 800-537-2372 and mention the Amazon Fire offer. Only one tablet per student per 12-month period. Students receiving tablets will not receive paper versions of our handbooks. Payment must be made prior to the date of the seminar. You will receive your tablet at the class. This offer can be combined with offer #1, but cannot be combined with offer #2 above, or any discounts, promotions, or refunds. Only one tablet per student per 12-month period. Students receiving tablets will not receive paper versions of our handbooks. Payment must be made prior to the date of the seminar. You will receive your tablet at the class. This offer can be combined with offer #1, but cannot be combined with offer #2 above, or any discounts, promotions, or refunds. Eligible government organizations and agencies: Call Environmental Resource Center for GSA discounts. Environmental Resource Center® will tailor the scope of the training to meet your site-specific requirements, and deliver the training—at your site or as a live instructor-led or web-based session—whenever you need it.